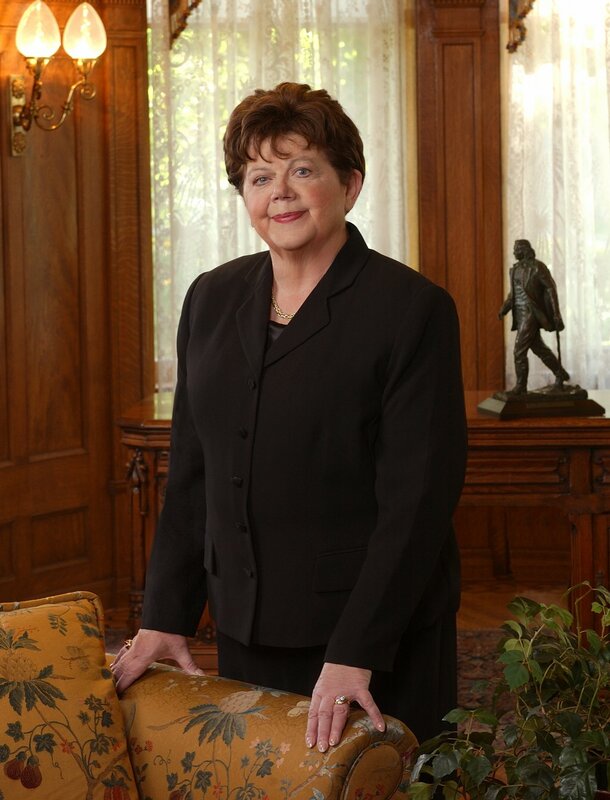 SALT LAKE CITY — The first woman to hold the office of governor in Utah, Olene Walker, died due to natural causes Saturday in Salt Lake City. Walker served as Utah’s 15th governor from Nov. 5, 2003 to Jan. 3, 2005. Prior to that she served as the state’s first female Lt. Governor under Gov. Michael O. Leavitt from 1993-2003. Born Nov. 15, 1930, Walker recently celebrated her 85th birthday with family. Gov. Herbert has authorized the lowering of the United States and Utah flags to be at half-staff in Walker’s honor. Flags will be flown at half-staff until sunset next Thursday. Funeral arrangements are pending, according to a press release that announced the former governor’s passing. Walker also served in the Utah Legislature from 1981 to 1989, where she served as the majority whip, the press release said. Following her term as Governor, Walker, along with her husband Myron, went on a two-year mission to New York City for The Church of Jesus Christ of Latter-day Saints. Walker also remained active in political and community initiatives like “Count My Vote” and “Real Women Run,” according to the press release. She was also active in church, serving as a primary president (the LDS Church program for children under 12) in the Bloomington 7th Ward when she was 80 years old. “She was a really grand lady, really neat,” St. George Mayor Jon Pike said. Pike serves as a member of the presidency of the LDS Bloomington Utah Stake, of which Walker’s ward was a part. “Such a supporter of not only the state, but of course Southern Utah where she’s had a home for years,” Pike said. Walker was born in Ogden, Utah. She received her bachelor’s, master’s and doctorate degrees from Brigham Young University, Stanford University and the University of Utah, respectively. She married Myron, self-proclaimed Utah’s First Lad, in 1954 and had seven children, 25 grandchildren and 25 great-grandchildren.